Does your 1500 have a strange resistor (with white and/or white with blue stripes) mounted on or near the distributor that do not seem to connected to anything? In the mid-70's Triumph installed electronic ignitions on their North American cars in an attempt to lower the emissions and improve relability. The Lucas electronic ignition boxes failed almost before the cars left the dealers' showrooms and were replaced (under warranty) by a couple other brands (Piranha, Allison, etc.). 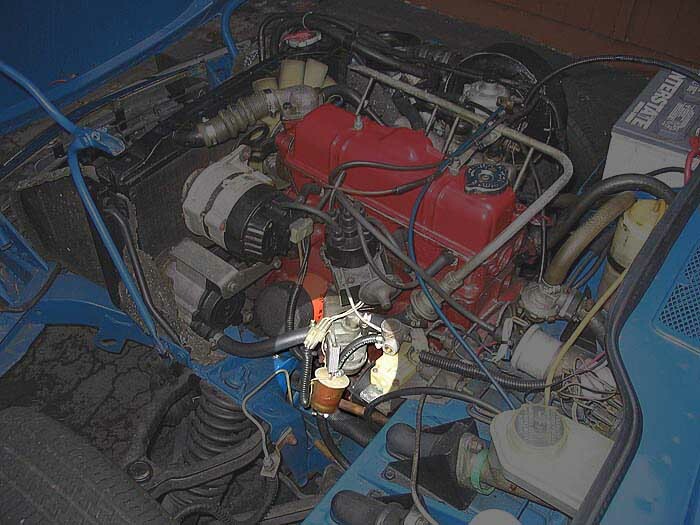 The lazy mechanics often left the original wiring on the car including the drive resistor. This "drive" resistor is not the same as the ballast resistor. The ballast resistor is hidden from view. It is in reality a very long pink/white wire attached to the coil...so long it creates the resistance required by the ignition system. Owners of Pertronix or Perlux Ignition Systems: if you leave your ignition on without the engine running and if the engine stops anywhere between roughly 30°BTDC to 30°ATDC it could damage the Pertronix module. The module will be sending "juice" to the distributor, thinking it is starting the engine. The unit is simply not large enough to dissipate the heat that would be generated and burns itself up.